For my birthday last year I went to London Film and Comic Con for the weekend which was so much fun! I painted these for some of the film and tv stars who I met there. 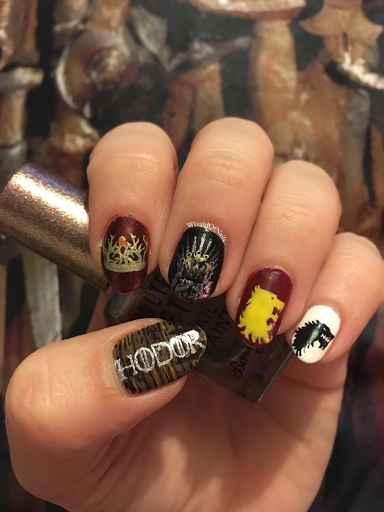 My left hand is a Game of Thrones theme with Hodor, Joffrey's crown, the iron throne, the Lannister sigil and the Stark sigil. On my right I have Harley Quinn, Napoleon Dynamite t-shirt, BMO, the green Power Ranger, and Tonk's wand in Harry Potter. 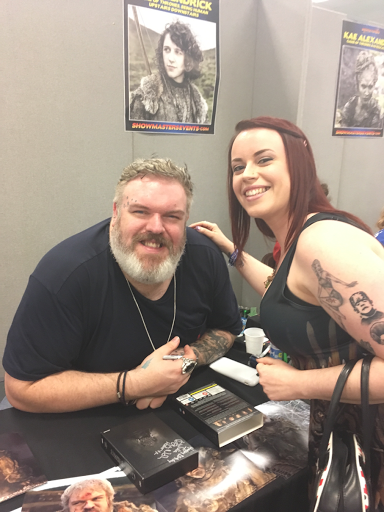 Kristian Nairn who plays Hodor. 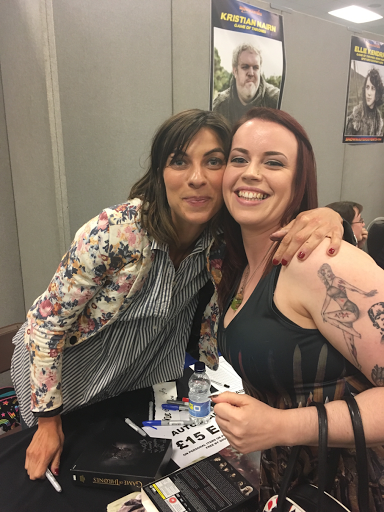 Natalia Tena who plays Osha/Tonks. 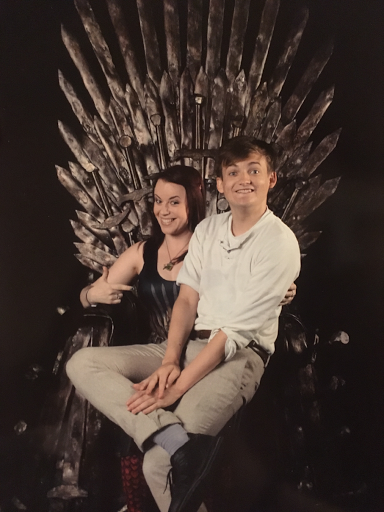 My favourite pic of the day, Jack Gleeson aka Joffrey sitting on my Iron Throne dress sat on the Iron Throne! 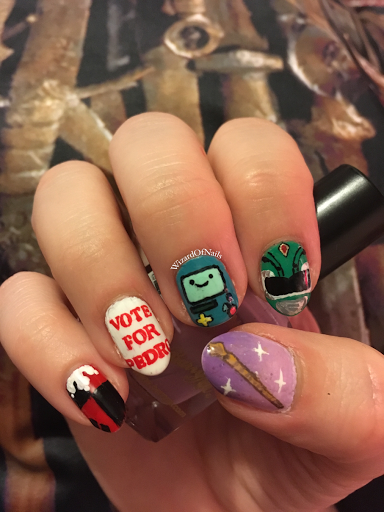 I showed these guys my nails and they all loved them which totally made my day. Can't wait to go back again this year!